Exams, what are they good for? Having four exams at the end of every semester was my least favourite part of university. The stress, the anxiety, the cramming…I still occasionally have nightmares that I’m taking an exam, and wake feeling relieved that I never have to take another one, ever. Why do we have exams? The main reasons seem to be convenience and to minimise plagiarism. Yet exams are not completely cheat-proof, as seen in the recent case of the French woman who tried to take her daughter’s exam. And they go on to say that although exams have possible benefits for student learning, such as forcing students to review an entire subject and possibly see it as a whole, there are also several downsides. 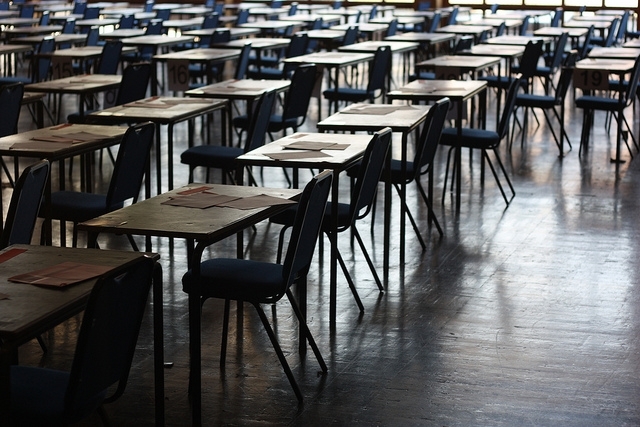 One of these downsides is mentioned above – that exams encourage students to memorise. In addition, test anxiety is common and can impact on exam performance. And finally, students don’t usually receive feedback on their exams, other than their grade. If we want students to take a deep approach to their learning then assessment needs to be constructively aligned with subject learning outcomes. In other words, if you want your students to be able to effectively manage patient airways in a medical emergency, you don’t assess that via a written exam. In real life there’s no one who gives you a problem and says the answer is a, b, c or d. In real life, you have to figure out what the problem is. Then you have to figure out some ways of solving the problem and then you have to figure out whether any of those solutions are any good. There are plenty of possible alternatives to exams but I don’t think we’ll be seeing the end of exams anytime soon. For one thing, students taking MOOCs who wish to gain credit for their studies often need to take an invigilated exam. This entry was tagged assessment, constructive alignment, exams, MOOCs, student approaches to learning. Bookmark the permalink. My mate interviews all of his students as part of the assessment. It sorts out the wheat from the chaff, but is probably just as stressful for the student. When I asked him if it was a lot of work, he said that he didn’t think it was more work, just different work. Interviews are indeed stresssful but are good practice for job interviews etc.